The organisers of the FIG 2014 have negotiated special rates for participants staying at the following hotels. The special rates only apply to participants of FIG 2014 and are available only when booking is made via the individual links or by using the attached reservation forms. Click on a pin for more information about the hotel. 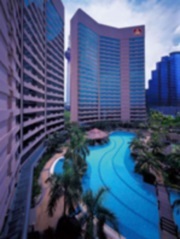 Traders Hotel, Kuala Lumpur is located in KLCC, Kuala Lumpur City Centre. 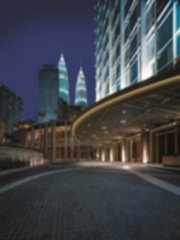 Its ideal location makes it perfect for participants of FIG Congress 2014 as it is connected to Kuala Lumpur Convention Centre with five direct walkways via the Hotel’s escalator or guest lifts, as well as direct access to Suria KLCC Shopping Mall and the iconic Petronas Twin Towers. All the rooms are spacious and modern in design with PetronasTwin Towers view and KLCC Park view. Each room is equipped with a LED TV, cabled broadband, built-in international adaptors, electronic safe, cable TV, iron and ironing board, hairdryer, tea and coffee making facilities. Free WiFi everywhere: available in hotel limousine, guest rooms and public areas. Grand Hyatt Kuala Lumpur is an elegant and contemporary hotel with 370 guestrooms and 42 suites and is located right next to the Kuala Lumpur Convention Centre. The hotel is within walking distance of the Petronas Twin Towers, Suria KLCC, KLCC Park, Dewan Filharmonik Petronas as well as the Golden Triangle shopping and entertainment district. The Pavilion Shopping Centre is less than a ten minute walk by the covered sky-bridge outside the hotel. To check-in, guests are whisked to the hotel’s lobby, strategically positioned at the highest level of the building to allow for a captivating view of the city’s skyline with the iconic Petronas Twin Towers as the backdrop. All of the hotel’s guestrooms and suites were designed with floor-to-ceiling windows with expansive views of the city, the greenery of KLCC Park or the Petronas Twin Towers. Grand Hyatt Kuala Lumpur has some of the largest rooms in the city, starting at 47 square meters (505 square feet). The use of warm and neutral earth tone interiors in the modern guestrooms enhances the welcoming and stylish feel that is projected throughout the hotel. For the convenience of travellers, each guestroom is equipped with a sizeable workstation with high-speed wired and wireless Internet access, as well as an MP3 docking station. Luxurious bathrooms feature a liquid crystal glass (LCG) enclosed cube complete with bath and rain shower. LCG technology provides guests with an option to turn the glass opaque at the touch of a button. Set between the flowering gardens of the City Centre Park and the dramatic heights of the Petronas Twin Towers, Mandarin Oriental, Kuala Lumpur enjoys a wonderful central location. With 643 rooms, 41 suites and 51 apartments, the hotel is beautifully designed with elegant interiors, spacious rooms and a wealth of dining options, we offer the perfect combination of comfort and luxury. The hotel is located adjacent to the Kuala Lumpur Convention Centre with less than 5 minutes walking distance. To make a reservation, please fill in the Reservation Form and email it to sophiaf@mohg.com / evonnel@mohg.com. The 5 star Grand Millennium Kuala Lumpur is strategically located in the capital city centre - offering 468 guestrooms and 13 meeting venues featuring state-of-the-art facilities in the heart of the business, premier shopping and entertainment hub. A lush retreat situated literally at Pavilion KL’s doorstep on Bintang Walk, just within a 10-minute walk via air conditioned elevated walkway to Kuala Lumpur Convention Centre and 15 minutes walk to Petronas Twin Towers. The hottest nightspots on the streets of Changkat Bukit Bintang until Jalan P. Ramlee are less than 15 minutes walk. Chinatown is easily accessible by monorail station just across the street from the hotel. The Shangri-la hotel’s 662 guestrooms and custom designed suites are appointed with modern amenities to offer only the very best in comfort, each with an inviting ambience, contemporary décor and commanding views of the city. 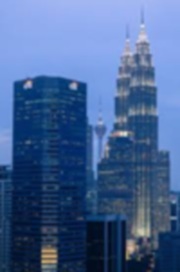 The hotel is located in the City centre of Kuala Lumpur. The Kuala Lumpur Convention Centre is less then 15-minutes walk or 5-minutes by taxi. To make a reservation, please fill in the Reservation Form and email it to reservations.slkl@shangri-la.com. One of Kuala Lumpur’s premier serviced residences, the luxurious Ascott is popular with the local young and yuppie crowd. A five-star venture with 223 spacious and carpeted studios and one-, two- and three-bedroom residences, the Ascott is a well located establishment within the city centre. Each lodging unit has broadband internet access, full kitchens and high-tech home entertainment systems plus hotel facilities include a gym, outdoor pool and tennis court. It’s only a ten-minute walk to the Suria KLCC shopping complex and Petronas Twin Towers; top floor rooms of this posh property have views of the verdant Kuala Lumpur City Centre Park. To make a reservation, please fill in the Reservation Form and email it to helmyloqman.musa@the-ascott.com or reservation.kl@the-ascott.com. A jewel in the heart of Malaysia, this Kuala Lumpur hotel is just steps away from the iconic Petronas Twin Towers and city’s Convention Centre, and a short walk from countless shops and entertainment activities. This recently refurbished Kuala Lumpur hotel boasts spacious rooms and a selection of restaurants including the award-winning Tatsu Japanese Restaurant. Guests can unwind in the Zen-like atmosphere of our spa, or the cosy surrounds of our timber-panelled bar. To make a reservation, please fill in the Reservation Form and email it to reservation@intercontinental-kl.com.my. Impiana KLCC Hotel is a chic business hotel with a total of 519 rooms of which 188 comes with a 5-star club rooms services. The hotel is centrally connected via a multi-million ringgit fully air-conditional link-bridge linking Kuala Lumpur Convention Centre to the hip and happening Bukit Bintang area and surrounded by some of the world’s top business organizations. All rooms are equipped with free Wi-Fi, innovatively designed guest rooms feature contemporary comfortable furnishings perfect for after a day of hard work or a night painting the city red. Concorde Hotel Kuala Lumpur is located along the bustling Jalan Sultan Ismail amidst the business district and major tourist attractions, walking distance is Kuala Lumpur Convention Centre. Stay at the DoubleTree by Hilton Hotel Kuala Lumpur with easy access to all that the Malaysian capital city has to offer. Situated in Kuala Lumpur's Golden Triangle along the prestigious Jalan Ampang at the Jalan Tun Razak crossing, the hotel is also located in the heart of Embassy Row. The Kuala Lumpur Convention Centre is only 10 minutes away. Enjoy warm, friendly Malaysian hospitality, beginning with a delicious chocolate chip cookie at check-in. Use the complimentary hotel shuttle bus service to Kuala Lumpur tourist sites and nearby business offices. 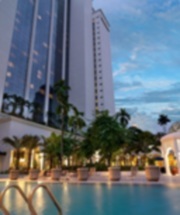 Prince Hotel & Residence Kuala Lumpur is a luxury international 5 star hotel located in the capital city centre. Mere minutes from the city’s corporate hub, shopping, dining and entertainment districts of the city. Walking distance to the Kuala Lumpur Convention Centre, 15-minute walk or 5 minutes by taxi. The Prince Hotel and residence offers 445 rooms & suites and 157 full service apartment style accommodations. Further the hotel offers extensive guest facilities, which include an outdoor swimming pool, tropical garden, fitness centre, spa, children’s play area and a fine selection of international cuisines available at our hotel restaurants. Dorsett Regency Kuala Lumpur is situated right in the heart of Kuala Lumpur’s Golden Triangle and at the start of Bintang Walk. It is just a stone’s throw away from the capital’s finest shopping malls, eateries, entertainment centers and sight-seeing spots. Within a short 5 minutes’ walk guests will find themselves at the door steps of Pavilion KL, Star Hill, Lot 10, BB Plaza, Berjaya Times Square and slightly further is KLCC Twin Towers. Being approximately 50 minutes away from Kuala Lumpur International Airport, the hotel is an ideal place for business and leisure travelers. The Hotel has 320 tastefully furnished and well-equipped rooms inclusive of Suites, Executive Rooms, Deluxe Premiere and Deluxe rooms. Facilities include the gymnasium which overlooks our outdoor swimming pool, spacious function rooms to facilitate all kinds of business and banqueting needs with three Food and Beverage outlets to please ones’ palate. Checkers Café, an all-day dining outlet that offers early breakfast, quick lunch and late night snacks. Cellini’s Italian Restaurant serves authentic Italian cuisine for both lunch and dinner. Featuring a 3-in-1 concept of café, bar and lounge, Windows Café and Lounge is an ideal place for chilling out during the day, and entertainment in the evening. The Federal Kuala Lumpur is located in Bukit Bintang; the shopping, entertainment, food and beverage’s hub of Kuala Lumpur and the longest open-air hawker street is just across the hotel. Beside the hotel is the largest IT Lifestyle mall in Malaysia – Plaza Low Yat. Kuala Lumpur Convention Centre is approximately 18-20 minutes walk from hotel via shopping street and 10 minutes by car and two monorail stations are mere 5 minutes walk from hotel’s door step. The well-appointed guestrooms are furnished with an array of modern amenities to satisfy the needs of discerning guests. Public area and corridors to all rooms are covered with CCTV and access to each floor with digital key card by lifts for added security. All guest rooms are fully functional with LCD/LED TV, broadband internet access, electronic safe, satellite television (BBC, ART, NHK, AEC, Super-sport), iron and ironing board, hairdryer, tea and coffee making facilities and mini bar. 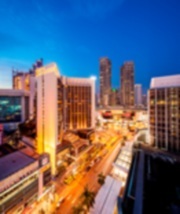 It is also within walking distance to the Bintang Walk shopping and entertainment hub, the Kuala Lumpur Convention Centre, iconic landmarks such as the Petronas Twin Towers and the Kuala Lumpur Tower and the nearby Chinatown (all within walking distance) while the Kuala Lumpur International Airport (KLIA) is only an hour's drive away. The Hotel is supported by an efficient road and rail transport system with the monorail terminal-stop located just adjacent to Hotel Istana. The 5 star Hotel Istana features 505 well-appointed guestrooms and suites designed to suit every individual's personal and corporate needs. To make a reservation please use the link www.hotelistana.com.my, the booking code is FIGKL or fill in the Reservation Form and send it to rsvn@hotelistana.com.my / eugene.yeo@hotelistana.com.my. Strategically positioned within walking distance of the Kuala Lumpur Convention Centre as well as major shopping malls, Novotel Kuala Lumpur City Centre features 295 rooms and extensive conferencing facilities for up to 250 delegates. This great Kuala Lumpur hotel also boasts two tempting restaurants, a bar which serves drinks until late, a well equipped fitness centre, spa and outdoor swimming pool. To make a reservation, please fill in the reservation form and send it to Ms Eliz Nastashah H6324-SL1@accor.com and H6324-SL8@accor.com. Email: Ms Eliz Nastashah H6324-SL1@accor.com and H6324-SL8@accor.com for the rooms booking. 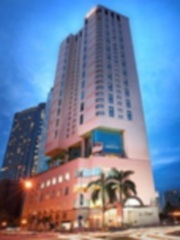 Ancasa Hotel & Spa, Kuala Lumpur is ideally located close to the business centre of Kuala Lumpur. The Light Rail Transit (LRT) and the capital's Pudu Sentral Bus Terminal are just a stone's throw away from the Hotel. 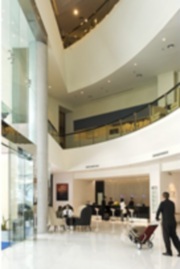 Ancasa Hotel & Spa, Kuala Lumpur will also provide a complimentary scheduled return transfer to KL Convention Centre. To make a reservation, please fill in the reservation form and send it to afiq.azmi@ancasanet.com or ailyn@ancasanet.com. In the heart of the Golden Triangle, a short stroll from Petronas Twin Towers, shopping and nightlife, sits one of the five-star hotels in Kuala Lumpur - the Renaissance. Experience the grandeur of this Kuala Lumpur hotel’s amenities, which are as bountiful as the vitality of Malaysia's capital. Spacious rooms include high-speed Internet, a safe, mini-bar and plush bedding. To make a reservation, please fill in the reservation form and send it to rhi.kulrn.reservations@renaissancehotels.com.